Quick: The Split is clearly set in some sort of alternate reality where London is always sunny, divorce lawyers are allowed to talk in private to the party they aren’t representing, and literally everyone is unhappy with their partner. It’s the same kind of heightened realism we’ve seen in Collateral, Clique, The Replacement, Apple Tree Yard… There’s definitely a signature style at play here. That being said, it’s an incredibly watchable programme, with plenty of family drama and plot twists to keep you entertained. Nicola Walker plays the protagonist, Hannah, who has left her mother’s prestigious family law firm for a rival. Abi Morgan has produced a rather flighty script, skipping from story to story in a way that certainly keeps boredom at bay – but can feel a little ungrounded as a result. Morgan initially launches her audience into Hannah’s drama with her two sisters, one of whom works for her mother (an excellently purse-lipped Deborah Findlay), then into the dramatic divorce of millionaires Meera Syal and Stephen Tompkinson, wades into the child custody battle involving Matthew Baynton‘s stressed comedian, and still has time for a quick glimpse of Hannah’s estranged father (Anthony Head). Naturally, as in all recent BBC dramas, The Split shows us how literally no one is truly happy in their relationship. Despite being married to the apparently perfect Nathan (Stephen Mangan), Hannah is still seen mysteriously texting her hot co-worker in the middle of the night. Poor old Nathan. The Split is a fun, stylish watch, with family tension by the bucketload and a fab, female-driven cast to boot. If Morgan can allow her characters some space just to live and avoid the constant creation of drama (see Big Little Lies and The Handmaid’s Tale for tips), the next five episodes might start to feel less like a reheat, and more like the fresh and exciting show they could be. Quicker: BBC One’s The Split is an immensely watchable programme which feels rather too flighty at the moment, but has the potential to settle down in future episodes. So I’ve decided I need to blog about all those ‘Shakespeare Uncovered’ episodes I’ve watched, made notes about etc, because otherwise they’ll just keep stacking up, and won’t be relevant anymore! Another thing Jacobi mentioned which was particularly interesting was how ‘Richard II’ is hugely relevant, not just for far off dictatorships, but it can also be linked to Margaret Thatcher’s situation in the 1980s – 90s; Hesseltein, a member of her own party (i.e. Bolingbroke) went against Thatcher (i.e. Richard) for the leadership of the Tory party. Thatcher called this: “Treachery with a smile on it’s face” and felt “Stabbed in the front”. It just goes to show how you can translate Shakespeare across many different time zones; at least one of the plays is always relevant. Moving on to the actual character of Richard; self-indulgent, absurd in his too easy glorifying and lamenting, he is also, at the same time, a poignant character. A useful quote for my EPQ from Professor Stephen Greenblatt: “What we feel is obviously heightened by the brilliance of the play’s stunning poetry. Indisputably it’s the work of a literary genius”. It seems from this quote that Greenblatt would define a ‘literary genius’ as someone with incredible linguistic skills, perhaps, rather than by looking at the characters they create i.e. the linguistic skill, and not the characters are what makes Shakespeare unique and a genius. The great character who shines out from these plays is not, surprisingly, Henry IV (portrayed by Jeremy Irons above), but Sir John Falstaff, or Jack as he is known in the alehouse in Cheapside. The academics interviewed, and Irons himself, agreed that much of what is extraordinary about the play depends on the character of Flastaff; Jonathan Bate again: “We love anti-heroes, rogues, people on the margins, people who break the rules…” The fatc that Falstaff is defined as fat and larger than life was debated by many as to the meaning of this. Of course, it has negative connotations such as laziness, gluttony, yet it also represents living life to the full and enjoying oneself. There is no exemplary character throughout the two parts of ‘Henry IV’; everything is ambiguous, as is common in Shakespeare’s works. ‘Henry V’ is unsual in that it is one of Shakespeare’s only histories that has no obvious and powerful single antagonist to the titular character: Richard II has Bolingbroke, Henry IV has Falstaff, Henry VI has Jack Cade, etc… It can be seen as a lesson in how to be a good king; Henry(portrayed by Tom Hiddleston, right) learns as he goes along how to rule his subjects and make them respect and love him enough to give up their lives for him…though, saying this, does he ever completely succeed? Even his “Once more unto the breach, dear friends” speech is mocked by Pistol in the next scene. An interesting point noted is that when it comes to the highs and lows of emotions, Shakespeare offers us no more than the text. There are no lengthy stage directions. Directors, actors and scholars have to decide for themselves what kind of King Shakespeare meant Henry to be. The ‘threat’ speech at Harfleur is entirely Shakespeare’s invention; there is nothing on it at all in ‘Holinshead’ (the major source for all Shakespeare’s English histories)…I find this the most intriguing, since this is one of the main factors used by some to accuse Henry of being a war criminal. Another pretty incredible fatc is that the entire ‘St. 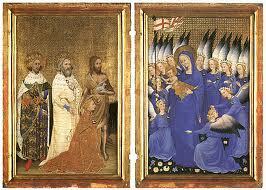 Crispin’s Day’ speech, which is amazing, whether you like Henry or not, is inspired by just a few lines in Holinshead. It appeals to basic, old-fashioned courage, and this is partly why it is so successful, even thought nowadays many are cynical about the power of rhetoric. But then, Shakespeare being Shakespeare, nothing is simple! This relationship is debated at great length throughout the episode. According to Andrew Dickson it is “one of the great interests and puzzles of the play”. If I’m honest, I found some of the sexual implications that some of the academics/scholars hinted at between them a little odd. Obviously, as an English student, I can’t say that they’re wrong, but I don’t agree. 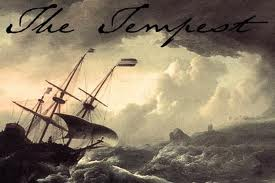 However, not knowing ‘The Tempest’ in a as much detail as these people, I guess I can’t completely disregard it. And finally…Ethan Hawke on ‘Macbeth’. I loved this episode, perhaps because it was the first I watched, but also because there was loads of unusual information in there, especially a section on ‘Sleep No More’, a new New York production of ‘Macbeth’ involving just dance and mime (see right). Hawke’s opinion of this was: “We usually think of words connected wit h Shakespeare. However, certain things expressed non-verbally are stifled with too much language. Physicality is inate, something we can all relate to.” Saying this, it was also pointed out that at the 10th anniversay of 9/11, Shakespeare’s words were used to connect with everyone – another good point for my EPQ; Shakespeare’s language gives people a way of expressing their feelings succintly and truly. Wow! That was longer than I thought it would be! I hope you found at least one thing you thought was interesting, and don’t worry, I’ll be doing more reviews of non-Shakespeare things soon, as well as all the Shakespeare related things I mentioned last time 🙂 Thanks for reading!